The next bus trip is to the Tram Museum on the 3rd March. Tickets will be on sale at this meeting for only $22, we need to fill the bus for this visit. A tram ride is included in admission. 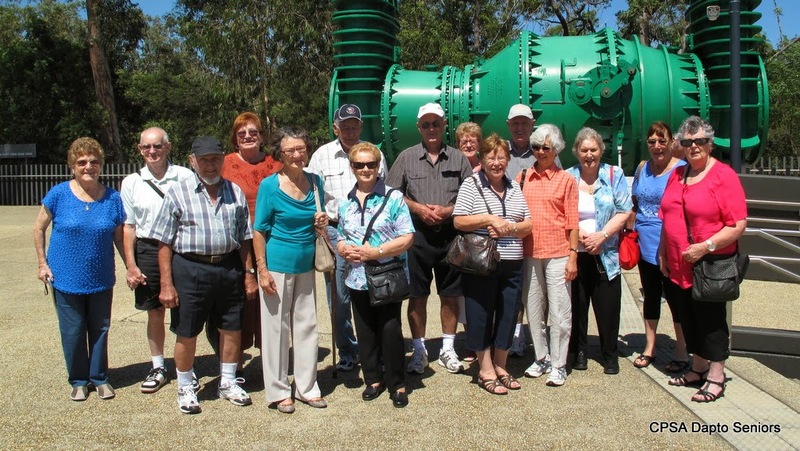 The trip to Cobbitty Winery and Warragamba Dam turned out to be a great success, The display at the Visitor's Centre was very interesting and members had to be dragged away to get to the Campbelltown Catholic Club for lunch. A good day out. 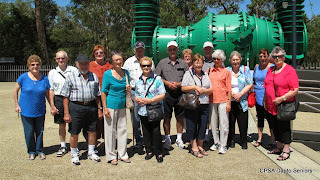 Russell has organised another picnic, this time at Cordeaux Dam on the 6th March. He will give more details at the meeting but he is taking names of people interested before the meeting. If you need a lift see Russell. If you can't get to the meeting look at this web site for final details after the meeting. Great news! it looks like we have a new leader for the walking group. More news at the meeting but the first walk will take place in Kiama on Friday, 21th March. As usual the group will meet in the Dapto Railway Station waiting room but for this trip meet just before 10.20am to catch the Kiama train. If you are late the group will be in the second carriage. Please join them, you will be made very welcome.